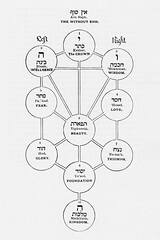 Kabbalah is the term for the mystical tradition within Judaism. Mysticism may be broadly defined as an experiential, spiritual endeavor to encounter and invoke God in this world. Kabbalah also has a more specific meaning in Jewish history: it is an esoteric Jewish subculture running within and among the mainstream cultures of rabbinic Judaism, medieval Jewish philosophy, and modern rationalism. 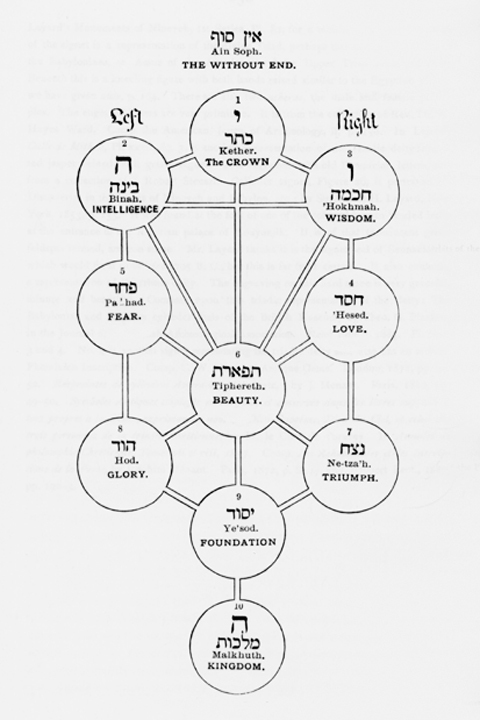 Kabbalah is primarily a mystical method of reading Jewish texts and practicing Jewish law, but Kabbalah also contains a messianic thread, incorporating the idea of a salvific God and a messiah figure. Messianism has existed as a religious subculture from the early rabbinic period and given rise to numerous messianic movements; messianic spirituality has remained a stream of Jewish tradition ever since. Jewish mysticism and messianism are therefore related traditions with deep roots in the Jewish experience. Their most important expressions emerged in the late medieval period of Jewish history: the Spanish Kabbalah of sixteenth-century Spain and Palestine, the Shabbatean Messianism of the seventeenth-century Ottoman empire, and the Hasidic movement of eighteenth-century Poland and Russia. Although Kabbalah’s mystic tradition reaches back as far as the early rabbinic period, Kabbalah’s central book, The Zohar, was written by Moses de Leon of Castille, Spain in 1286. After the end of the Golden Age of Spanish Jewry and the tragic expulsion of the Jews from Spain in 1492, many Jews sought an explanation for their suffering in The Zohar, bringing Kabbalah to a new level of popularity. In the 1560s, the great Sephardic kabbalists Moses Cordovero and Isaac Luria both moved to the Galilean village of Safed (or Tzfat in Hebrew) and founded a center of Jewish learning and spirituality. Luria gave the kabbalistic tradition some of the themes and concepts that would become pivotal to the community, including his esoteric description of the three cosmic stages of creation: tzimtzum (contraction), shevirat hakelim (the breaking of the vessels), and tikkun (restoration). While describing a divine process, the Lurianic Kabbalah also applied to Jewish experiences of history, exile, and personhood. This restorative spirit of the Lurianic Kabbalah underwent great transformation when various participants in the tradition claimed to be the messiah themselves. The best known of these was Shabbetai Zevi, who lived in Turkey during the mid-seventeenth century. Shabbatean Messianism captured the imagination of great numbers of Jews and lived on through the next century, most notably in the Polish Jewish circle of Jacob Frank. 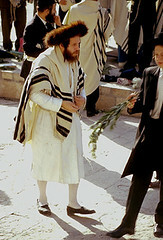 In the late eighteenth century, Hasidism was founded in Eastern Europe partially as a response to Shabbateanism. The founder of the movement, Israel Baal Shem Tov (“master of the good name”), was an itinerant preacher and mystic who reinterpreted the Lurianic Kabbalah within more acceptable bounds. The Baal Shem Tov and his disciples created a new Jewish religious culture in which prayerful communion was exalted over talmudic study, spiritual intention over ritual detail, and joy over melancholy. Hasidism, from the Hebrew word hasid (“pious follower”), was a movement of the common folk, stressing populism and social welfare at a time when the official Eastern European Jewish community, the kehillah, was corrupt and declining. The Hasidic community was headed by a new type of rabbinic leader, the tzaddik or rebbe, who led by personal example, storytelling, and moral authority. Certain Hasidic leaders, such as the late Lubavitcher Rebbe (1902-1994), are claimed by some of their followers to be the messiah. The mystical tendency in Judaism continues to resist the rationalist bias of modernity, with the perseverance of Hasidism today and recent resurgences of Jewish spirituality. The messianic aspect of the kabbalistic tradition has become part of modern Jewish life through the deep conviction that history, exile, and personhood has meaning and direction; contemporary Judaism’s relationship with Israel can be viewed as representing a fulfillment of messianic hope. Taken together, the kabbalistic idea of tikkun olam (repairing the broken elements of holiness in the world) finds its modern voice in Jewish movements of political, economic, and social change. Due in part to the influence of these mystical and messianic traditions, Jews joined cultural revolutionary movements of the nineteenth century in force. Today, many of the modern-day radicals who have attempted to fix the world have been Jews, from Karl Marx and Leon Trotsky to Emma Goldman and Abby Hoffman.